and nearly made a lovely young doctor spill her drink. Cool people don’t drink bovril. EAD you sorry excuse for a human being! Hope you get hit by a car crossing the street you flog. 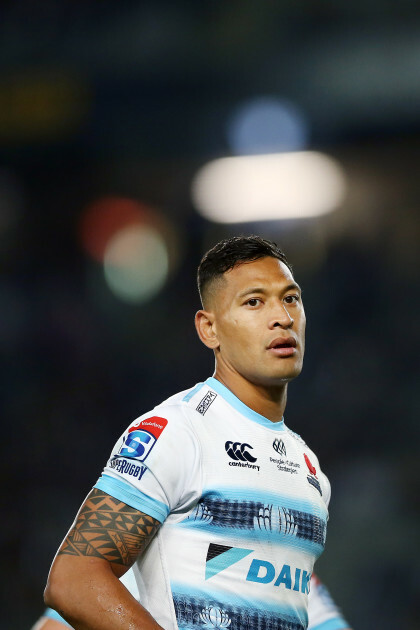 Israel Folau's social media statement will cost him his job. He’ll probably go and play somewhere overseas. With the collapse of Carnegie Clean Energy, Mike Fitzpatrick’s share value went from $11m to $400k to zero. Which in those days was considered a lot of money. My schadenfreude is peak after this wonderful news. Oh boy. Wait till @sorfed finds out about this and writes about it in the climate change thread. I don’t care how that slimy Carlton prick loses his money I 'm just happy he did. 11 day break starting from now. And a LOT of footy to watch while on break. 10 out of the next 11 days. Turns out that Fitzpatrick also made $2m loan to the company to keep it afloat - but then he’s probably a secured creditor. Essendon’s second half of the second quarter.